Happy Monday! I always feel a little silly writing "happy Monday". I mean, I want everyone to have a happy Monday but is it really happy going back to work? I love my job so I don't hate going back to work on Monday morning but I'd be lying if I said I was excited about my 5:30 am wake up call. Ok, enough debating on the proper greeting for Monday morning, I haven't had nearly enough coffee for that yet. Let's just jump right into my weekend recap with Biana! Like I said on Friday, my weekend was pretty laid back which is always a nice thing. 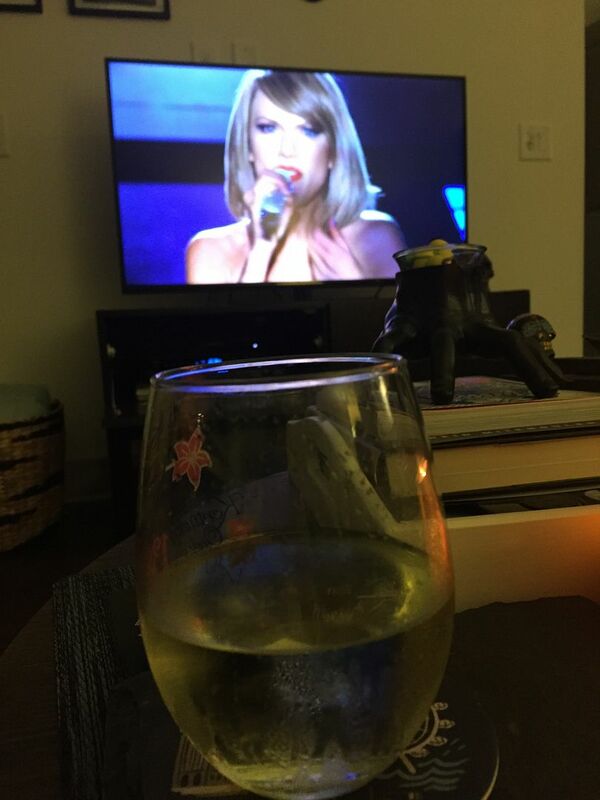 Friday after work I headed over to Kerri's house for some wine, cheese and most importantly, Taylor Swift. Ok, not actually Taylor but we did watch her concert all over again. It was fun getting to relive our experience but from a different perspective. And this time from the comfort of a couch with wine in hand! Saturday was my most "relaxed" day. We did some more binge watching of movies, I may or may not have taken a quick nap and I ran some errands before settling in for the Green Bay Packers/Arizona Cardinals game. I even managed to get a little bit of time outside since it was gorgeous weather! Sunday I headed out to the Millenia area to do some shopping. Another "necessary" trip to Sephora happened where I stocked up on some new goodies. After dealing with the crazy crowds at the outlets we headed over to Yard House for some snacks and beverages. Trust me, after dealing with the crazy tourists an adult beverage is MUCH needed. After that it was time to get home for the Broncos/Steelers game. SO happy the Broncos won! 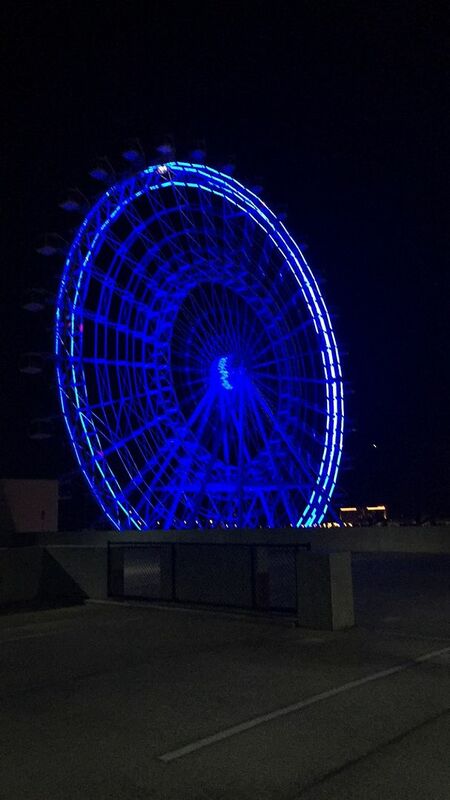 Even the Orlando Eye seemed to be celebrating with it being lit up blue. Looks like a fun weekend! We were able to relax yesterday & watch movies...it was do nice! Have a great week! Sounds like such a great weekend! I love wine, cheese and meats so Friday looked awesome! What a fun weekend, friend! I want to come hang out with you & Kerri & Taylor too! We did have some pretty great weather this weekend! Love that the eye was lit up blue and congrats on the win!! 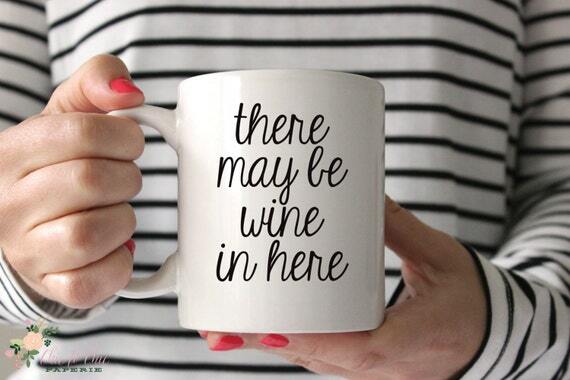 Wine and Binge watching sounds awesome. I did some of that myself this weekend, minus the wine, lol! What a nice and laid back weekend. 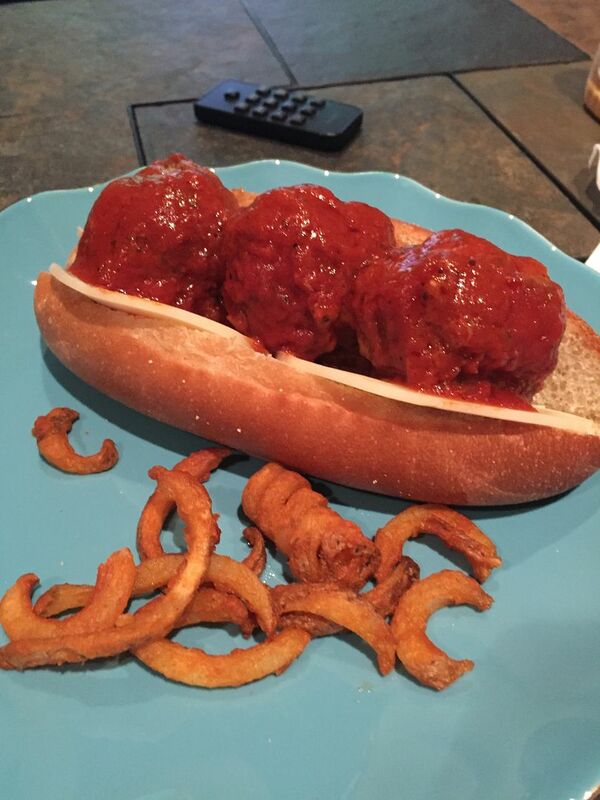 I now want a meatball sub, with curly fries. Your weekend sounds like it was perfect, I'm a huge fan of a chill weekend. I had a nap or two as well. Woohoo Broncos!!! Yum! That meatball sub looks amazing!!! So much good food! You definitely look like you had a great weekend and definitely love seeing as many Taylor sightings as possible! i can't talk about how BOTH teams i wanted to win yesterday, lost. i even had my seahawks jersey on all day. i know i know, who am i? lol. anyway how are we at work already - brutal. but at least we're both in the same boat! had a blast fri night! you literally had the most perfect weekend! I am admiring the cheese and meat tray! Yum! 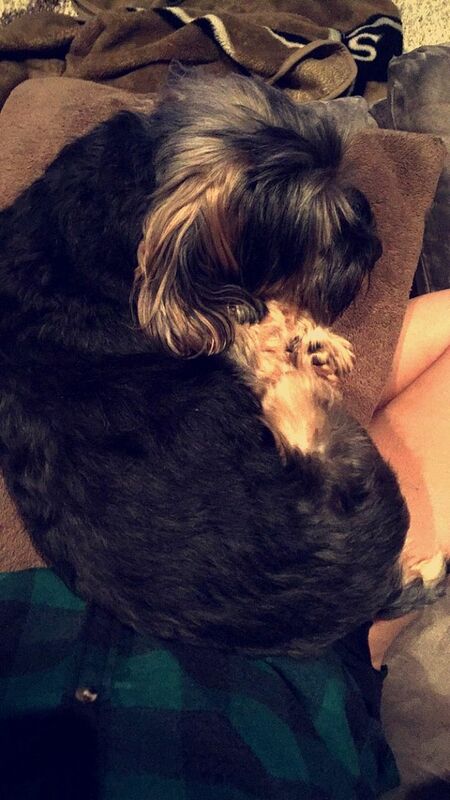 Loving how adorable your pup is! Great weekend, your Friday night sounds PERFECT! And I know allll about dealing with tourists lol - FL living at its finest! What a fun girls night in! I love your white jeans...where did you get them from? An adult beverage is always much needed after dealing with the Millenia area and outlet malls. Looks like a nice weekend! I have to say, your white jeans are so fun; love them!!! How cool!! Did you enjoy the TSwift video? I think it looks so cool but I'm not sure if I would enjoy it much since I got to see it live! i seriously can't imagine living somewhere where there were always a million tourists! i mean, sydney is obviously touristy, but they stay in the city and i stayed out of it hahaha. all the food looks amazing, and i so want to watch taylor swifts concert thingy since i didn't get to see her in real life. What a great weekend!! I still cannot believe I missed out on this T Swift tour, but now I definitely want to see it on tv. That cheese plate looks awesome! 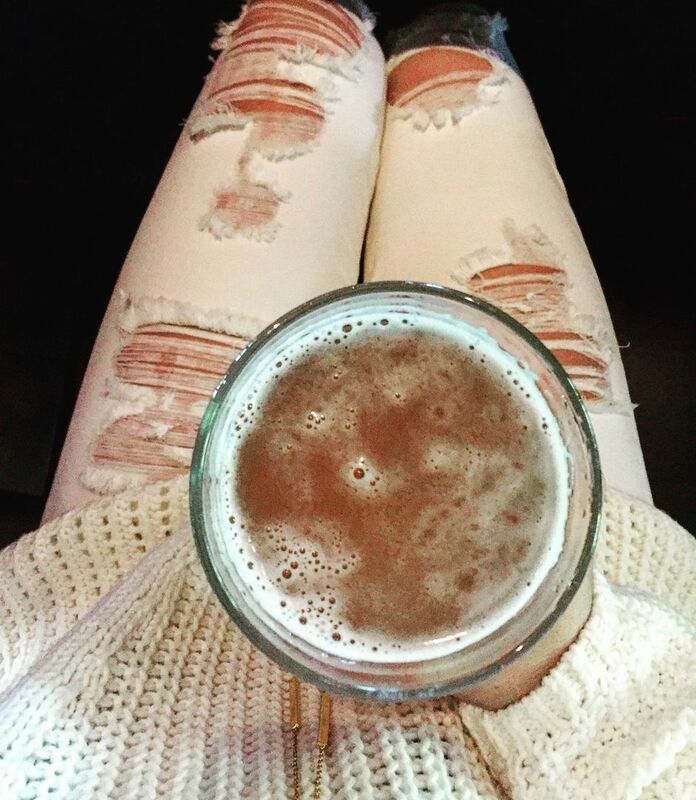 And I love your white jeans. Laid back weekends are the best! Happy Monday! That cheese plate looks so amazing! It sounds like the perfect weekend and I love how much there is to do in Orlando! I've been dying to watch the Taylor Swift concert! I bet it was fun for you since you actually saw it in person. Hope that you found some goodies at Sephora, and I'm glad that you had a good weekend! Love that denim! And the 1989 tour was seriously my favorite concert ever -- I want her to come back so I can go again! I need to watch it. Here's to a good week! what a great weekend!! and now i want a meatball sub!! hehe. It seriously sounds like you had the perfect Friday night! 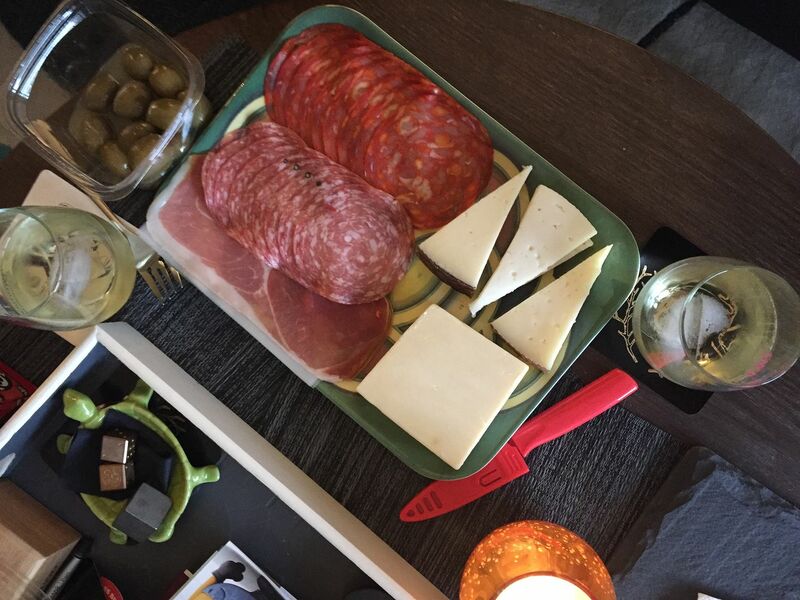 Wine, charcuterie, good friends, and Taylor Swift, does it get any better? A trip to Sephora is always necessary, and it sounds like you ended the weekend perfectly with adult beverages, good food, and a Broncos win! Wine and charcuterie are the best! Sounds like my friends and I. You have me craving a meatball sub now! Sounds like such a fun weekend! So fun to relive your Taylor Swift experience, and all that food looks amazing! My Steelers lost and everyone seems to be happy about it...haha. Boo! Your weekend looks nice and relaxed...what did you get at Sephora? I have some gift cards burning a hole in my wallet! What a perfect weekend! Give me all those foods! Yummmm! That meat and cheese tray...and what fried food? 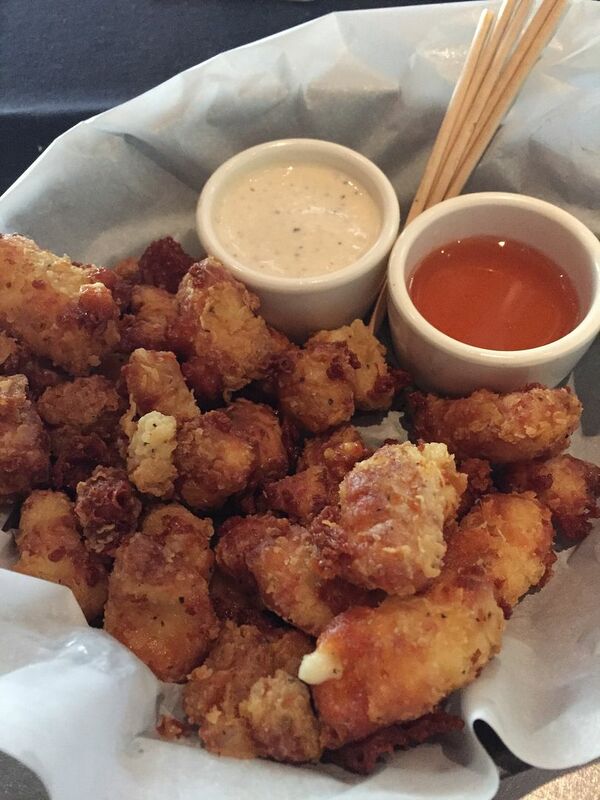 Cheese curds? Give me!!!! Why is everyone all happy my Steelers lost? Makes me so sad. Hope you have a great week! Sounds like the perfect relaxing weekend! I never know how to welcome in Monday, I love my job too and don't mind going to work, just wish I could sleep in an extra hour! That mug is the cutest and the food all looks so good! Wine, cheese, and Sephora? I meaaan... what else does a weekend even need?!?! The meatballs in your snap chat looked so good - the sandwich looks even better and now I'm craving one! Love the girls night - wine and cheese - my favorite!